There are few careers that offer so many benefits. When you start a pet sitting business, you will have a job that is fun, interesting, and rewarding. You will feel needed and appreciated by pets and pet owners alike. Pet sitters are hired to care for pets while their owners are on vacation, travelling for work, or away from home for any other reason. Pet sitters care for people’s pets in the pets’ own homes, offering pet owners total convenience as well as peace of mind, knowing that their pets and homes are being cared for while they are away. The happy pets get to enjoy a pleasant stay at home, instead of a stressful trip to a boarding facility or kennel. When you start your own pet sitting business you will enjoy the freedom of being your own boss. You can start your business from home, scheduling work around your family life or other commitments. You can start part-time or full time and pet sit on your own, or hire a staff of pet sitters who you can schedule as appointments come in. Your own pet sitting business can be anything you want it to be. For example, you can choose to work with all types of pets or you can specialize in particular types of animals (e.g. dogs, cats, fish, ferrets, horses, etc.). You can also choose what types of pet sitting or pet care services to offer. In addition to standard pet sitting services (feeding, playing, caring for), your pet sitting business might offer overnight pet sitting, companionship by the hour, or house sitting. In addition to the rewards of working with animals, starting a pet sitting business has low start-up costs and offers almost unlimited income potential. As long as you have the desire, you can become a pet sitter and start your own pet sitting business. No special education or experience is necessary to break into this career and succeed. If you would like to be paid to provide pet sitting services, the FabJob Guide to Become a Pet Sitter is for you! 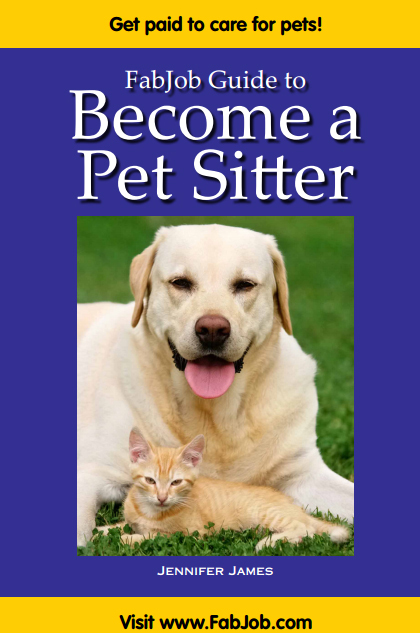 In this e-book you will discover how you can get started as a pet sitter and succeed in the exciting pet sitting business. 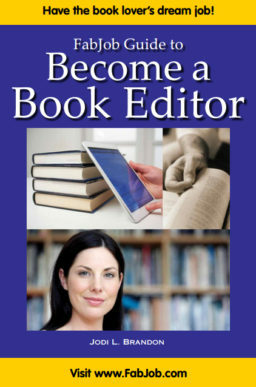 The author of this guide is Jennifer James, a leading writer and editor of career guides, who has cared for many dogs, cats, fish, birds, and other types of pets over the years. In the FabJob pet sitting guide she shares insider tips and expert advice from successful pet sitters and pet sitting buiness owners to help you achieve success with your own pet sitting business. 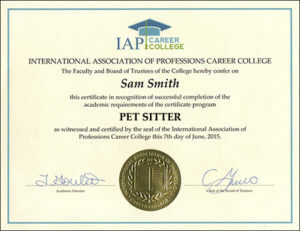 Information about business matters affecting pet sitting services such as business planning, licensing, insurance, etc. You can have all this and more for an incredible price. It can cost hundreds of dollars to take courses on starting a business, and chances are they will not include specific information about starting a pet sitting business. The FabJob Guide to Become a Pet Sitter contains some of the best business advice you could get from other sources, and more. The information in this guide can save you many hours of research, help you avoid some costly mistakes, and give you information you need to become a professional pet sitter and start your own pet sitting business. 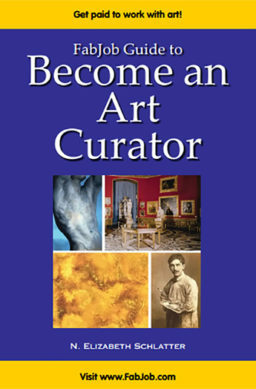 You can earn back the price of the guide many times over your first day in business. Plus this guide can help you start your own pet sitting business much more quickly and cost-effectively. If you believe you deserve to have the career of your dreams, this guide is for you. It gives you what you need to know to start your own pet sitting business.